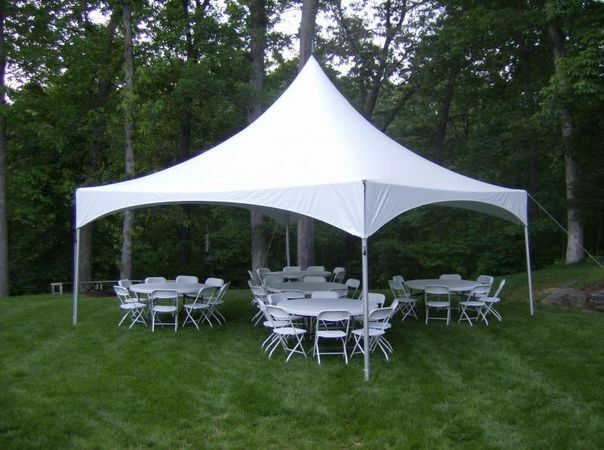 20 x 20 High Peak Frame Tents are designed for a quick and easy setup and can hold up to 67 guests. Their size and elegant look make them ideal for weddings, graduations and other large outdoor events. In addition to their aesthetic appeal these high peak frame tents are popular because they have fewer fittings and parts than traditional a pole or frame tent. Price includes delivery with in 10 miles and set up of tent and take down.